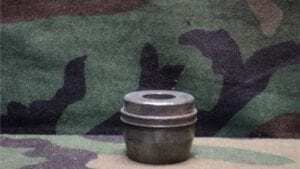  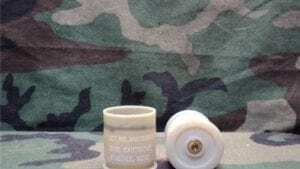 Home / Large Bore / 50 Caliber / Blanks / 50 cal crimp type blank linked in original can. 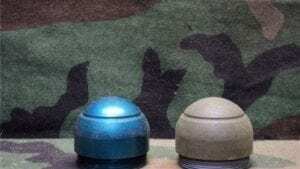 100 round can marked link M-9 blank M1-A1. 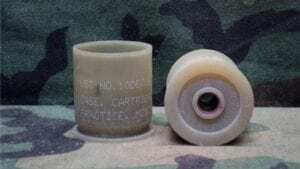 50 cal crimp type blank linked in original can. 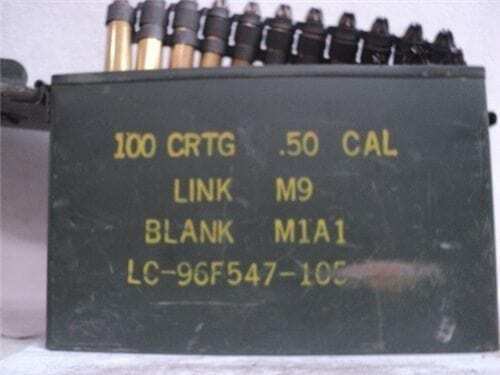 100 round can marked link M-9 blank M1-A1.